The company Noesis Foods has it’s roots in Finland. The company is an expert in promoting tasty and health enhancing vegetarian foods. More than 20 years’ experience in the business and carefully selected partners guarantee the food safety of our products. Our product range includes vegetarian organic and conventional foods based on vegan proteins. Our vision is that consumers will increasingly take care of themselves and pay attention to their lifestyle. 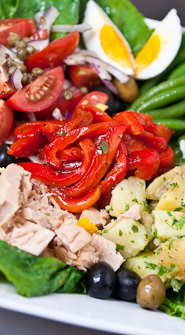 We also produce a range of HoReCa foods, distributed by Mixtec, in Finland and Sweden. Due to our experience in vegetarian foods and the knowledge of the Nordic food business, we are able to identify the opportunities and understand the customers’s needs and attitudes.